In general, except can be used as a preposition: I want everything in that frappuccino except caramel. Accept, on the other hand, is a verb: I would gladly accept your tip; however, we are not allowed to take it since we made such a terrible spelling blunder. Two in One! : I would accept any of the frappuccinos you offer except the one with all that caramel drizzle. 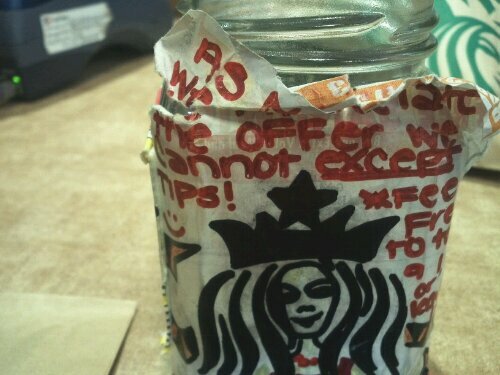 Don’t worry, dear Starbucks; no one will be attempting to leave a tip with a mistake like that! Why Starbucks cannot afford decent proof readers with the amount of tax they haven’t paid in the UK, I do not know!